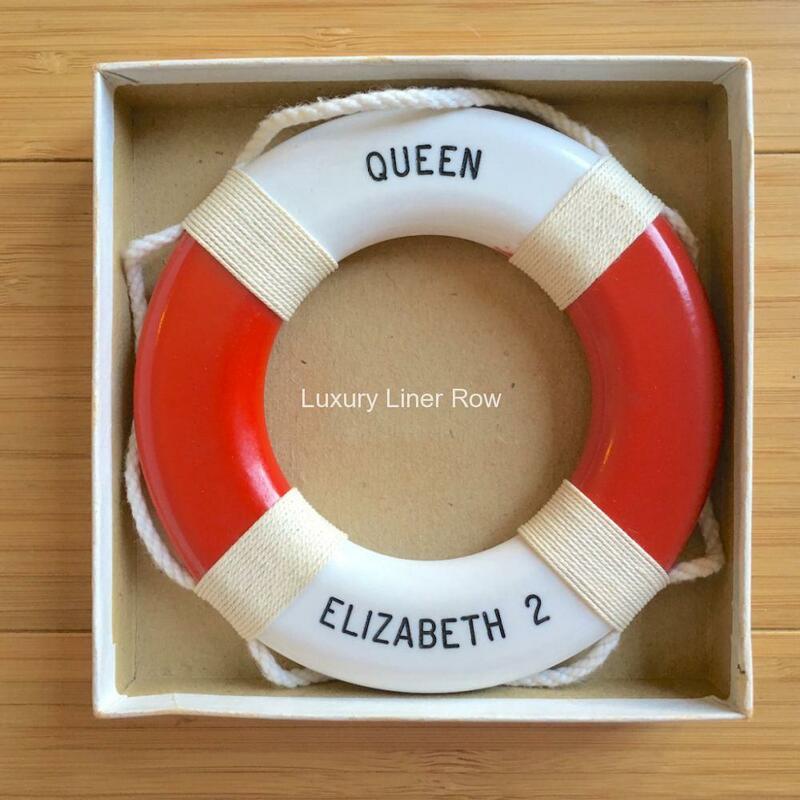 Plastic souvenir life ring from Queen Elizabeth 2’s on-board gift shop. In excellent condition with its original box. Measures about 4.5″ in diameter.